A quirky "castle" formerly belonging to a famous British inventor. This “castle” was actually the home of Victorian inventor Sir Goldsworthy Gurney. 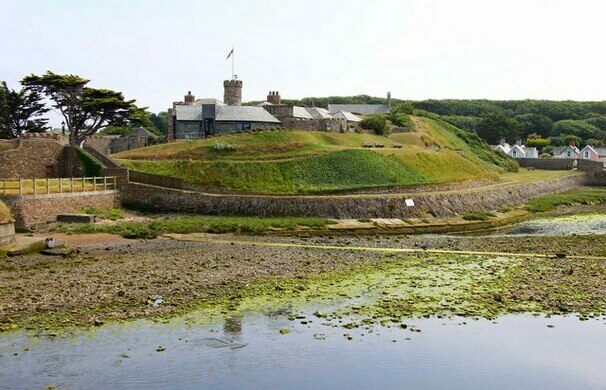 Built in 1830 for Sir Goldsworthy Gurney, this two-story house is both picturesque and irregular, complete with crenellated walls overlooking the sea. The design of the castle included concrete foundations, which was an unusual feature at the time. Sir Goldsworthy Gurney was a doctor, engineer and philanthropist who developed the steam carriage and invented the “Bude Light,” which was an oxygen-enhanced type of Argand lamp that was eventually used in the Houses of Parliament. He was a central figure in efforts to improve safety in the mining industry. The castle is now a heritage centre and attraction with exhibitions and educational galleries open to the public. 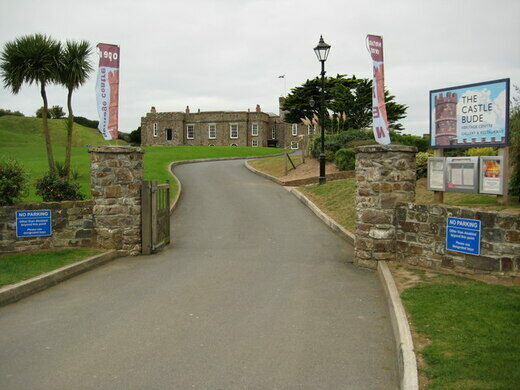 Follow the signposts into Bude, at he mini roundabout go straight ahead along 'The Crescent. Take the first turning on the right and The Castle is immediately in front of you. A writer's tiny retreat built from salvaged shipwreck timbers.